Details: Nothing is more seductive than bare, sun-kissed skin. Nothing feels more natural than pure microlight minerals. 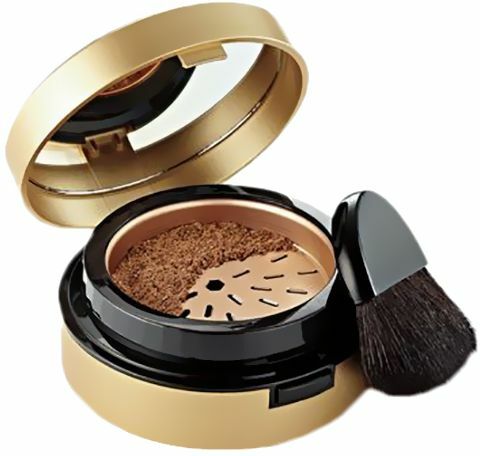 Get a fresh-ground natural glow with Pure Finish Mineral Bronzing Powder, filled with minerals, mica, sea water complex, aloe, and Vitamins A, C, and E. Includes a mini folding kabuki brush for a perfectly bronzed look. Oil-free. Talc-free. Fragrance-free. No waste. No mess. No kidding. Ingredients: Mica Mineral Adds luminosity and reflects light for a soft focus look. Sea Water Minerals, Rich in calcium and magnesium, essential elements that support skin's own natural mineral equilibrium to strengthen skin's appearance. Aloe, Soothes and moisturizes. Love it . Best brand .